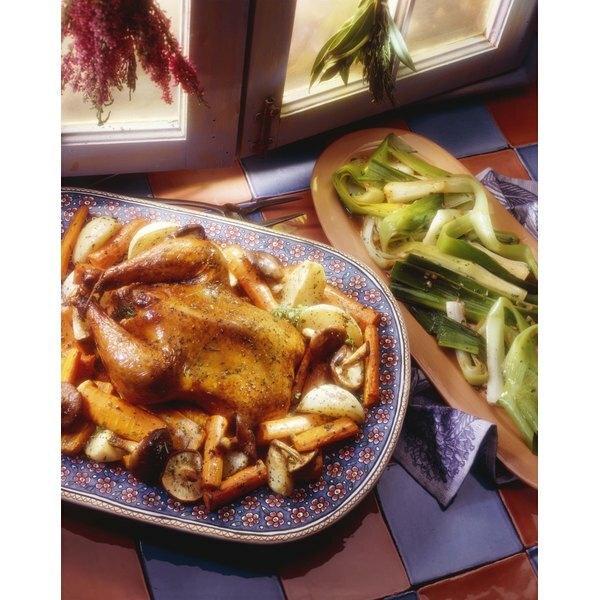 A whole roast chicken with vegetables is only one of many recipes you can make with your Pampered Chef Deep Covered Baker. 2 What Is a Braising Pan? If you have purchased the Deep Covered Baker, you might be wondering what you can cook in it other than whole chickens. There are several places where you can get new recipes for your Pampered Chef stoneware -- you just need to know where to look. Ask your consultant. Find out the name and contact information for the consultant from the party at which you bought your Deep Covered Baker. Chances are she will have a ton of different recipes that she can email you, or she can direct you to her personal Pampered Chef website. Look on the Pampered Chef website. The website has a search option in which you can specify ingredients or tools, such as your Pampered Chef Deep Covered Baker. Searching for recipes using the baker turns up such recipes as Loaded Baked Potato Chowder and South-of-the-Border Meatloaf. Search a Pampered Chef Cookbook. The Pampered Chef cookbooks contain many recipes for all of the Pampered Chef kitchen tools. The many Pampered Chef cookbooks focus on such themes as quick dinners, entertaining and healthy meals. Search the Internet. Plenty of blogs, forums and personal websites give details about recipes for the Deep Covered Baker -- you just have to know how to search. Use a search engine, such as Google, Swagbucks or Ask, and search "Deep Covered Baker recipes, Pampered Chef." You will be surprised how many recipes come up! Enter more specific information, such as a specific ingredient or type of recipe, and you can narrow your list of results. Experiment on your own. You don't need a recipe to use your Deep Covered Baker. Know what you like and try it out on your own. 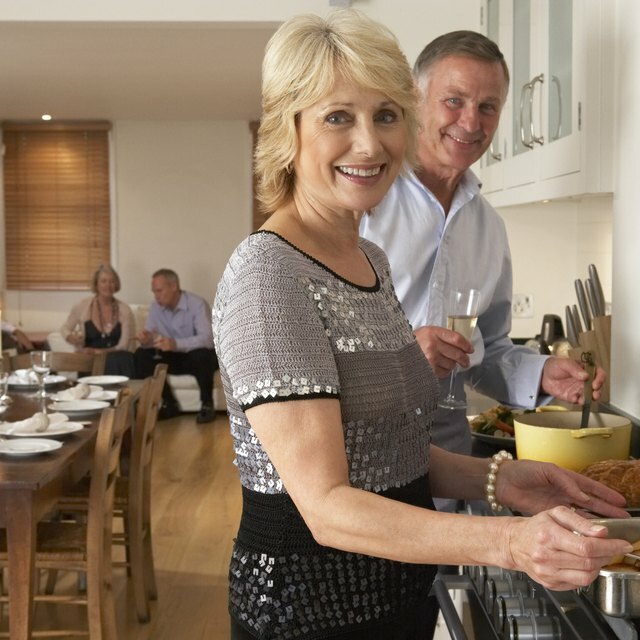 Try making stuffing or creamed corn by modifying cooking times from your traditional oven recipes. You might have to play with the amount of liquid or length of cooking time, but you can cook anything in the Deep Covered Baker that you would normally be able to cook in a crockpot or pressure cooker.